Bakeware There are 6 products. 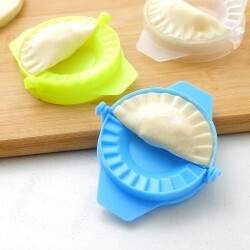 Dumplings maker. Material: plastic. Color sent randomly. 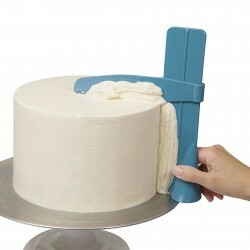 Cake scraper. Adjustable Material: PP plastic. Please select a color. Kitchen & baking thermometer. Clear digital display, easy to read. Removable spatula. With metal probe. Material: nylon, silicone. Temperature range: 32℃ ~ 320℃ Battery: 1 x LR44 (incl.). Length: ~ 32cm / 12.60" Weight: ~ 133g. 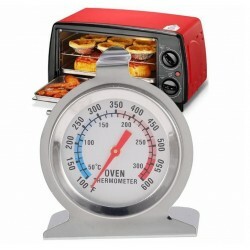 Kitchen & bakery oven thermometer. Temperature range: 0-300°C / 0-600°F Material: stainless steel. Oven and dishwasher safe. With hanger and stand. Attaches to shelf or rack. Large easy to read dial. Dial size: ~ 52 * 15mm. Size: ~ 61 * 35 * 70mm. Food digital thermometer. 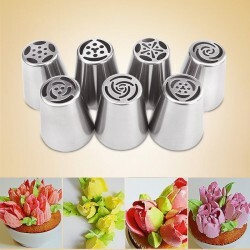 Material: food-grade stainless steel. LCD display, temperature memory. High accuracy, rapid temperature measurement. 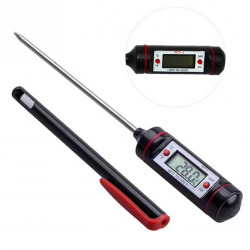 Temperature range: -50 - 300℃ / -58 - 572℉ Sensor probe length: 150mm / 5.91" Reaction time: 5 sec. Resolution: 0.1℃ / 0.1℉ Battery: 1 * 1.5V button cell (incl.). Size: 21 * 228mm / 0.83*8.98"